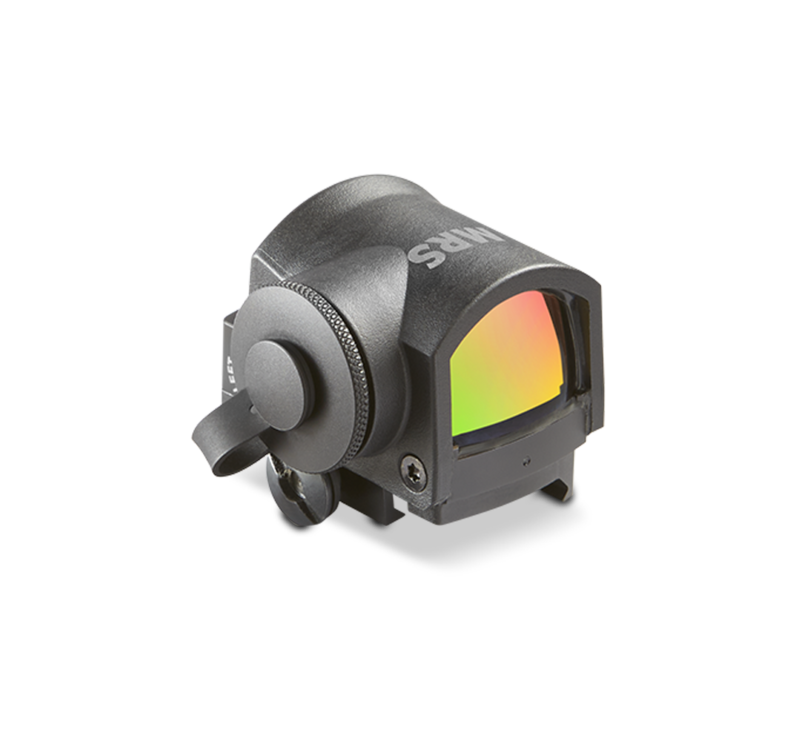 The 1x MRS Micro Reflex Sight lets operators engage targets with both eyes open, for wider peripheral vision, greater situational awareness, and faster response—critical when engaging moving targets. The 3 MOA red dot is easy to find and quick to aim, ensures either-hand shooting accuracy, and won’t obscure targets at longer distances. At only 70 grams, the low-profile MRS is well-balanced on any shooting platform, giving shooters the quickness, confidence, and accuracy to control the outcome. provides a clear aiming point in any light conditon. for windage and elevation with 1 MOA click adjustment. or 3 manual levels for day/night operation. in both directions (90 MOA total adjustment). and submersible to 10 meters. attaches to any Weaver or Picatinny rail. powers 550 hours of operation. turns off after 8 hours to preserve battery life.